In the wake of disruption and disaster, cooperation among members of a collective is refocused on matters of status, membership and the formation of coalitions. In an important contribution to sociological theory, Hendrik Vollmer emphasizes the processes through which disruptions not only affect, but also transform social order. Drawing on Erving Goffman's understanding of framing and the interaction order, as well as from a range of insights from contemporary sociological theory and ethnographic, historical and organizational research, Vollmer addresses the dynamics of disaster and disaster response within the framework of a general theory of disruption and social order. It is proposed that the adjustment of cooperation in favour of coalition-forming strategies is robust in both informal and organized social settings and transcends the 'micro' and 'macro' approaches currently favoured by theorists. 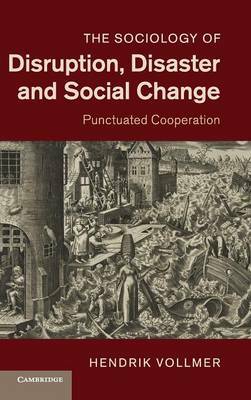 Offering a systematic sociological analysis of the impact of disruptiveness, this book investigates how punctuated cooperation precipitates social change.